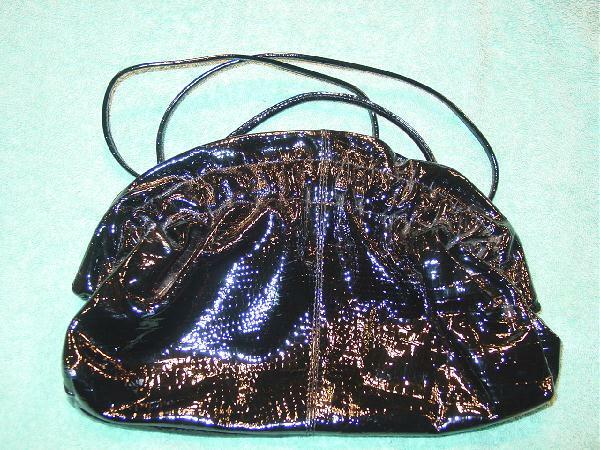 This very shiny patent leather purse has a reptile pattern. It has side hinges so you pull open and push to close. There is gathering along the rim with a ruffle along the top which angles outward further on one side. It has a 42" long shoulder strap which can be tucked inside so you can carry the purse as a clutch. There is a zippered pocket with a gold-tone chain with an etched Brio on the triangular pull.